Not that there are any less cafes in Kolkata, but this one seems super cool. 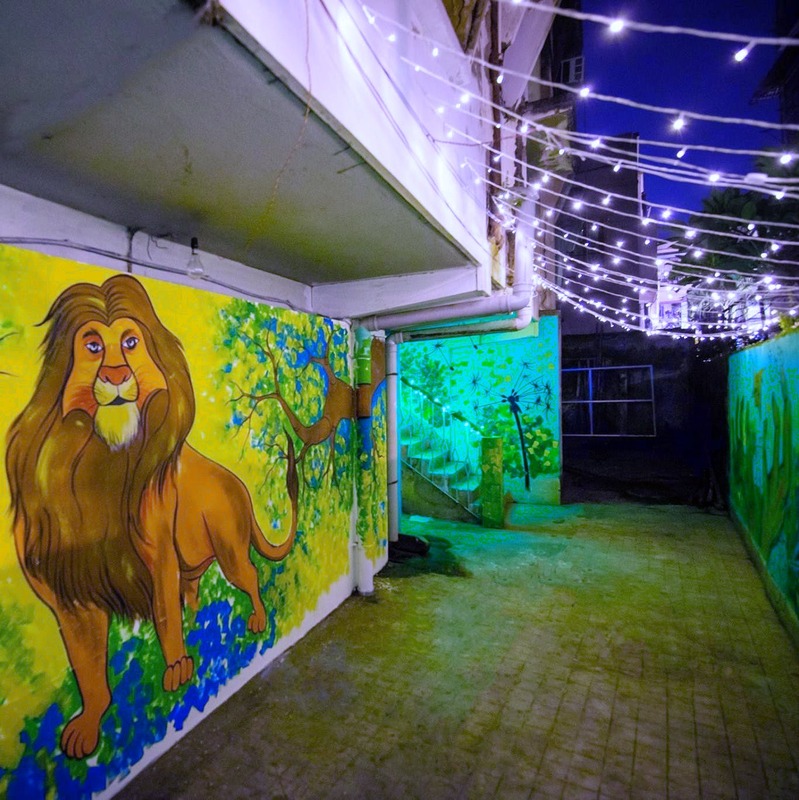 If The Lion King remains one of your most favourite movies, this cafe in Lake Gardens is where you have to be at. A collaborative effort by three engineers, this little cafe looks like it's been taken right out of The Lion King's story book. Mufasa Restro Cafe is a cosy eatery hidden in one of the nooks of Lake Gardens. What catches your attention is the decor of this place - the walls are painted with scenes and characters from The Lion King. You will feel like you're entering a den. Although their main entry is adorned with fairy lights, the inside is dimly lit with wooden benches, cane chairs and sofas. This is a perfect hangout spot for an impromptu chill session with the gang. Their menu is elaborate - the beverage section has coffees, teas, milkshakes and some really cool mocktails. The food menu has been divided into breakfast, lunch and an all-day section. From a proper English-style egg breakfast to a hearty Kolkata lunch with rice, they have it all. They also have the cafe regulars like pastas, pizzas, fries etc and a range of soups and momos. A meal for two should set you back by about INR 800. The place is really dimly lit, hence it's not the most ideal for taking snaps. The parking arrangement for this cafe is on the street out front, so it won't always be easy to find a space. If all the Christmas and New Year partying has emptied your pockets but your hangout game still need to be strong, Mufasa is a good solution. They have introduced a combo offer of a hookah and one part of chicken nuggets at INR 299 only. This offer only goes on till January 20.